When it comes to improving your health and longevity, strength training is rising in popularity for a multitude of reasons. Health and Fitness Expert and Women’s Weight Loss Coach Stephanie Mansour recommends easing your way into a routine that includes some weight training. 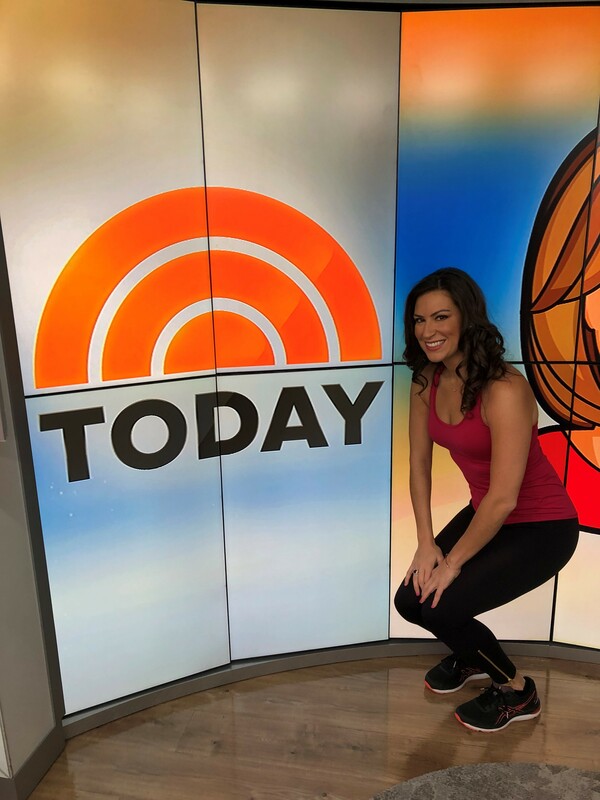 Check out her article covering common workout mistakes and how to fix them recently featured on NBC News Better. Strength training is an important part of all my weight loss programs for women because it comes with so many great benefits. I also stress the importance of taking it easy and giving your body time to learn an exercise safely and with proper form. Read 3 Common Training Mistakes here. For more strength training check out my Step It Up with Steph DVD. It’s got everything: warm-ups, cardio, strength training, pilates abs, yoga, and even meditation! Feeling up for a challenge? This one-legged, kneeling rotation move is great for improving hip mobility, core strength, and it will test your balance like no other! Give it a try at the end of your regular workout and see how it feels. Try that insane core move here. Have you tried adding a resistance band to your strength training exercises? Adding a band will seriously step up your gains, while also helping you perfect your form! If you struggle with your balance while lunging, take a look at this Self article I contributed to. It’ll show you how to take your reverse lunge to the next level starting at the foundation. Perfect your lunge form by clicking here. One too many cocktails last night? Most of us have been there. If you’ve over-indulged, what’s the best way to get back on track with your workout routine? I’ve put together what to do, what not to do, and why in the following article. Learn 4 Gentle Exercises for Hangover Recovery here. Ever wonder what a personal trainers fitness routine looks like? Here’s an insider look at seven different professional fit folk’s schedules—mine included! Click here to learn how personal trainers stay in shape! As a private weight loss coach and a private fitness coach for women, I specialize in helping successful women lose weight. If you’re looking for a life coach, a wellness coach, or a confidence coach in Chicago and beyond, you’ve come to the right place! As a certified personal trainer for women, Yoga Instructor in Chicago, Pilates Instructor in Chicagoland, and certified professional life coach in Chicago, I work with successful women across the country as a private weight loss coach for women.